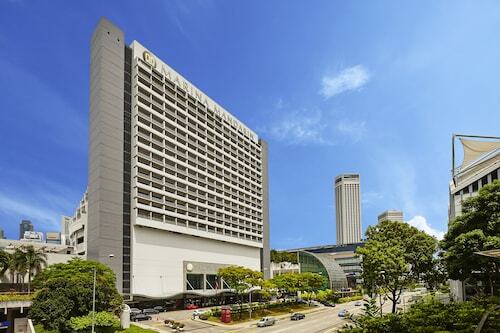 Very nice hotel and close to many interesting places that you would visit in Singapore. Room view was fantastic. The view from the 38th floor is also very nice. Nice hotel, brilliant pool but they need to ban the selfie sticks ! Over-priced pool food and seriously understaffed pool service. Rooms are nice, but feel empty. Book for 1 night, just to swim in the pool. Awesome hotel, beautifully decorated. Staff very attentive. Great central location. 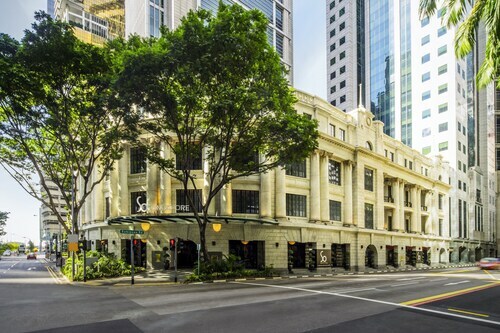 Located in Marina Bay, this luxury hotel is within a 15-minute walk of Shenton Way, Raffles Place and Merlion. 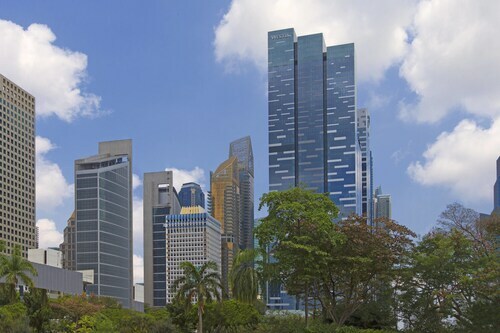 Marina Bay Sands Skypark and Marina Bay Financial Centre are also within 1 mile (2 km). Marina Bay Station is 11 minutes by foot and Tanjong Pagar Station is 13 minutes. 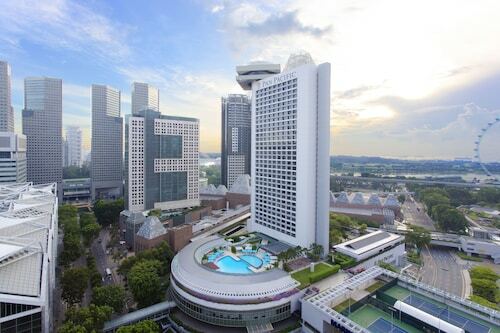 Booking a Marina Bay hotel, Singapore, with ebookers means choosing to stay right in the bustling, beating epicentre of this great Asian metropolis. Surrounded by cocktail joints and fancy fine-dining places, you'll rub shoulders with the town's elite. 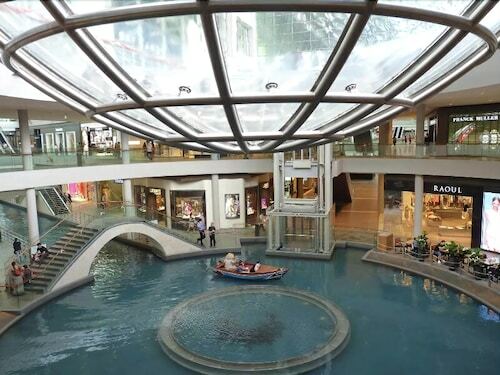 There are sprawling shopping malls, and lively esplanades to walk, all dotted with world-class museums, iconic theatres, cutting-edge urban green spaces and the occasional shimmering big-business high-rise. 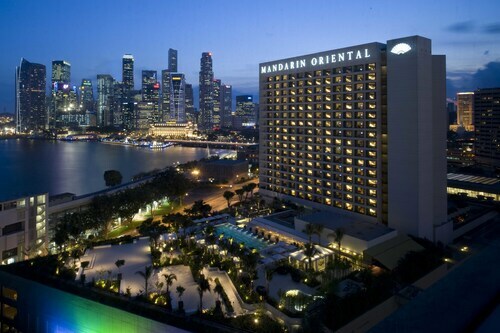 Marina Bay hotels, Singapore, rank as some of the most luxurious and opulent in the entire city. They rise high above the shimmering waters of the harbour below, offering suites with plush contemporary furnishings, panoramic views and even unforgettable rooftop pools. Some boast elegant architectural touches that hearken back to the English colonial age, or classy cocktail bars which slosh with that trademark Singapore Sling. That said, there are just a couple of Marina Bay hotels that offer budget digs, in the form of backpacker dorm rooms hidden on the bends of the Singapore River a little to the west. 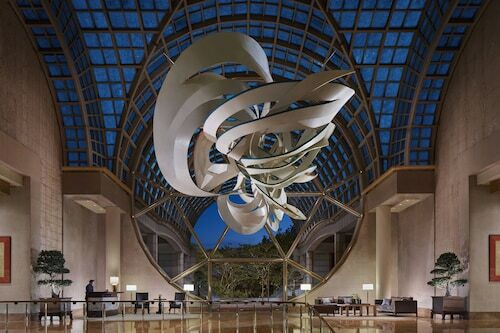 Once you've chosen the perfect Marina Bay hotel, then it's time to get excited about staying in the buzzing heart of one of Southeast Asia's most enthralling towns. For art lovers, shoppers, culture buffs and interested travellers, there's oodles of Things to Do. Take some time to wander the photogenic Gardens by the Bay, and then delve into the seemingly endless fashion boutiques of The Shoppes to indulge in some retail therapy. At night, The Esplanade comes alive with performing arts and classical concert shows, while the acclaimed ArtScience Museum hides immersive tech exhibits behind its UFO-like shell. From peanut-scented satay joints that sizzle against the harbours to refined haute French bistros where the city's elite mingle in the evenings, Marina Bay has a full cross-section of places to eat and drink. The Shoppes mall has food courts that seem to go on forever, touting American steaks and Italian pizzas next to Asian stir fries. Up above, on the glitzy walk around the Marina Bay itself, it's possible to seek out cocktail houses where the ubiquitous Singapore Sling is crafted, or even quiet coffee joints that serve tall lattes under the glimmering lights. The whole area of Marina Bay is definitely best explored on foot as it’s compact and walkable, and it's easy to stroll from the Gardens by the Bay to Raffles Avenue and across to the Merlion statue all in one evening. There are stops on the Circle MRT Line and the Downtown MRT Line serving the district too, which are perfect if you're looking to head out and enjoy Singapore's other cultural enclaves like Little India and Chinatown.